While we’ve known for some time that Final Fantasy XIV: A Realm Reborn will be coming out on the PlayStation 3 later this year, we have new confirmation that the title will be making the jump to the console’s baby brother. 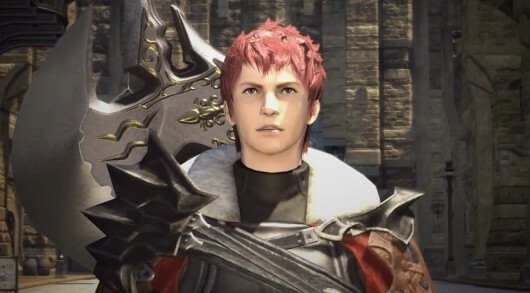 FFXIV was announced as one of PlayStation 4’s upcoming games in 2014 at the Sony E3 keynote address, as Sony has the exclusive rights to the title. While there isn’t a set date for the PS4 release, Square-Enix Producer Naoki Yoshida encouraged console fans to start playing on the PS3 and make the switch later, as character data will be transferrable between the versions. “While waiting for PlayStation 4 there is no reason not to start your adventure on the PlayStation 3,” he said. The release of the updated Final Fantasy XIV for the PC and PS3 will happen on August 27th. You can watch the new E3 trailer for FFXIV after the jump.See this is the difference between TESO and FFXIV that shows how multi-platform MMO’s “could” work. They actually made the UI and controls specific for each version, unlike Defiance and from the look of videos that aren’t easily accessible “wink wink” of TESO. Where those seem to be made for consoles then ported with their cumbersome controls to pc. What’s yet to be seen is how an update schedule can work. Will pc version be slowed to match console regulated update schedules? You can click here FFXIV Gil to learn more about the game content and services. This entry was posted in Final Fantasy XIV on 08/17/2013 by admin.